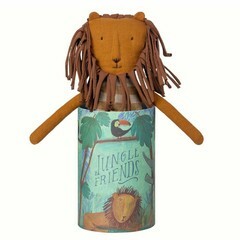 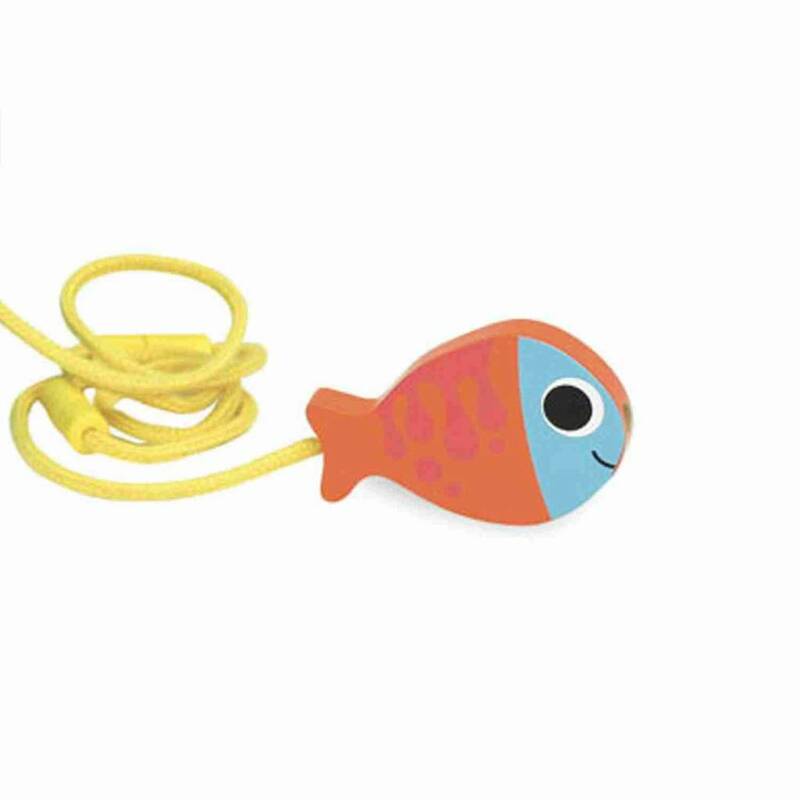 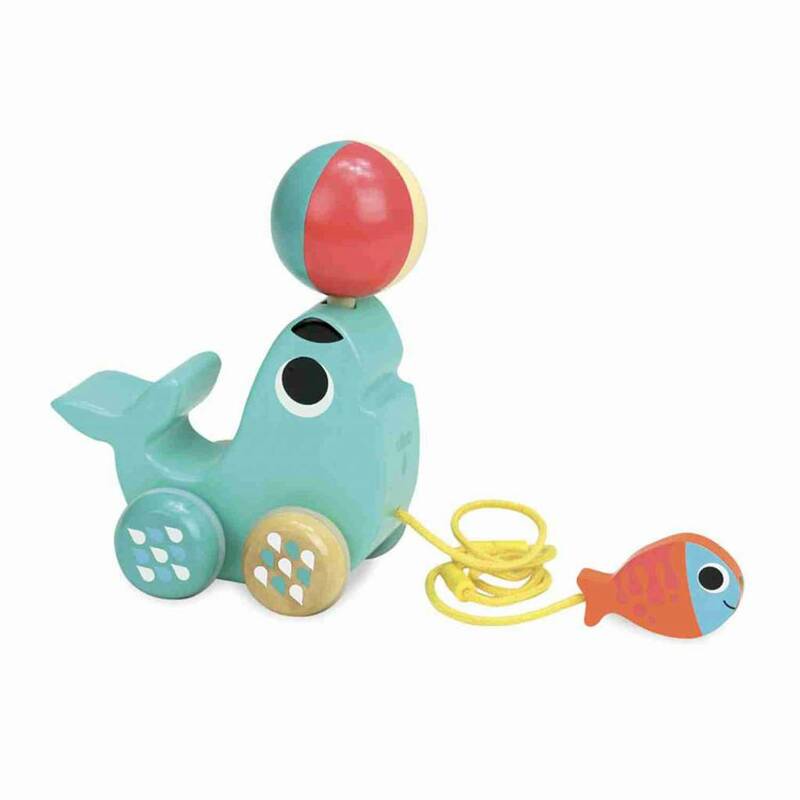 The small sea lion from wood is a great pull-on animal for children from one year. 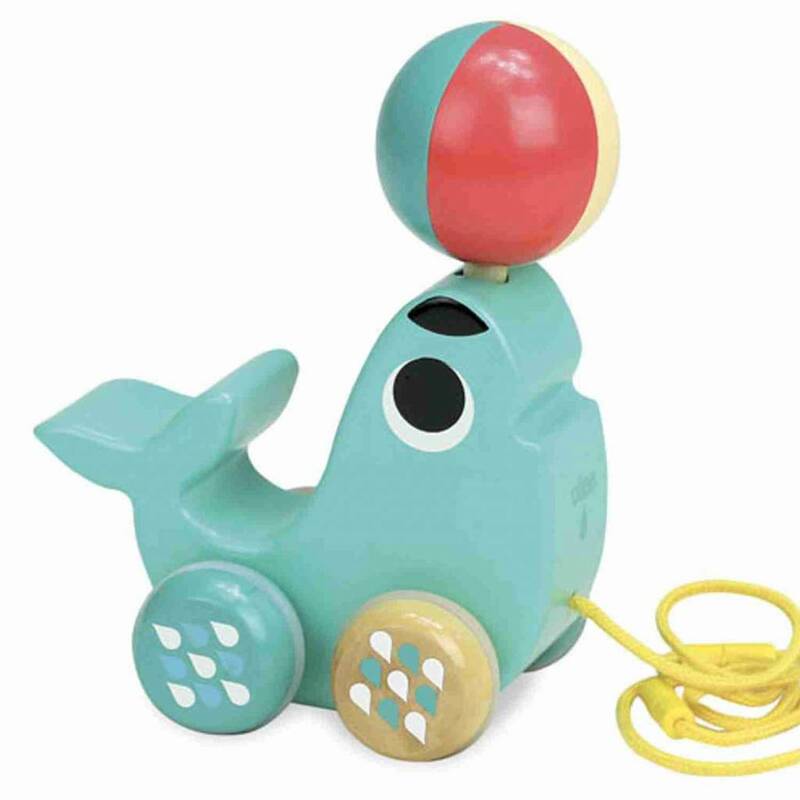 Vilac has come up with something very special about the cute sea creature, set the sea lion in motion, and the ball, which he balances on his nose, starts to turn. 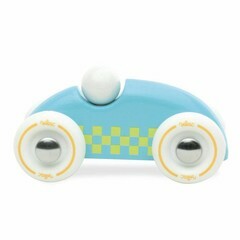 The wheels are covered with a rubber ring, which ensures a quiet, comfortable ride. 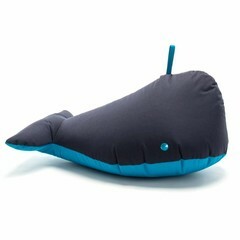 All edges were carefully rounded.